Ukiah Planning Commission Approve Local Woolen Mill! Great news! Local shearer, Matt Gilbert has gotten approval for his new woolen mill. He expects to start processing wool in Ukiah by this fall. See the attached Ukiah Daily Journal article. This is exciting news for those of you who own either an Apple or Android smartphone and want current lamb and wool prices. I've reposted the announcement from ASI here for you. "Lamb markets -- Is there an app for that? Well, yes, as a matter of fact there is. Producers can tap into auctions and prices at any time - while checking on the sheep, between meetings or during lunch. 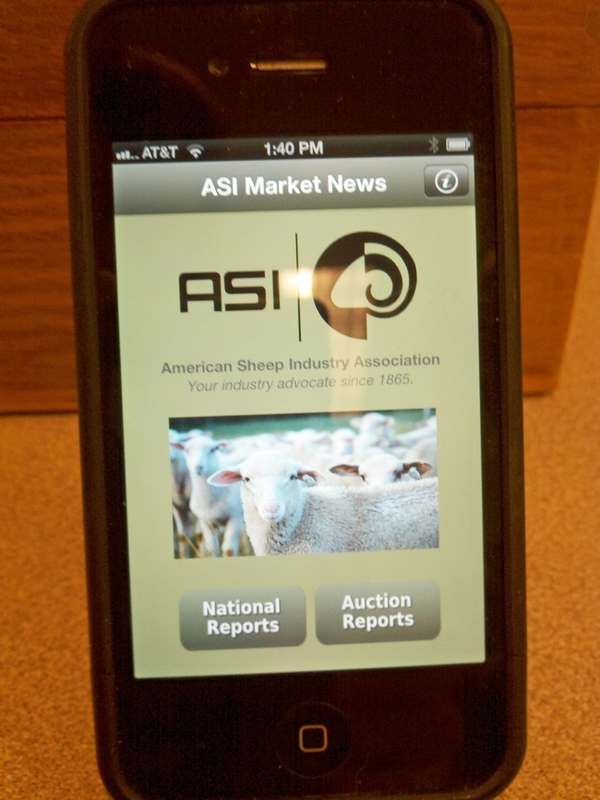 The American Sheep Industry Association (ASI) has launched its first mobile application providing lamb and wool market information to anyone with a smartphone or tablet. The free market app is available for both Apple and Android operating systems. "ASI is pleased to offer market information to anyone in the industry with a smartphone," remarks Peter Orwick, ASI executive director. ASI worked closely with Randy Hammerstrom, officer in charge at the Greeley U.S. Department of Agriculture's (USDA) Agricultural Marketing Service's (AMS) Livestock, Poultry and Grain Market News division, to hand-select the portions of the USDA reports to offer in this first version of the industry market app. "The app offers a good variety of national reports as well as market results from seven auction barns from around the country," emphasizes Hammerstrom. "Producers can access price data as the information is made available by USDA." "This app will provide the industry with the convenience of valuable market data anywhere, anytime," says AMS Administrator Anne Alonzo. "Partnerships between USDA and the sheep industry are a critical component to supporting American producers." The app is titled ASI Market News which can be downloaded from Apple's App Store or the Android Store. From the front page, users can select to search national reports or action reports. "Producers' thoughts on the usefulness of this tool as well as any ideas on additional information that would be valuable to access from the app is appreciated," says Orwick. "This is a work in progress and we want to provide you with the best possible product."